as one of England's greatest artists of the 18th century. 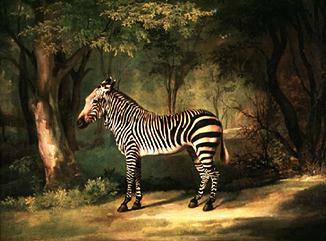 For many years Stubbs was thought of merely as a painter of animals for a narrow circle of sporting clients. His current, enhanced reputation is almost entirely due to the magnificent collection put together by Paul Mellon. 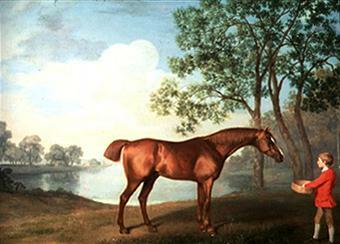 Mellon had acquired one or two works by Stubbs in the 1930s, but beginning in the late 1950s - with the advice of art historian Basil Taylor, the leading authority on Stubbs -he greatly enlarged his collection of sporting art, and of works by Stubbs in particular. His collection of Stubbs' works eventually comprised 38 paintings; a considerable body of graphic work, including drawings connected with, and prints after, Stubbs by the artist and his son, George Townly Stubbs; and published books of Stubbs' anatomical studies. After Mellon's death in early 1999, the Yale Center for British Art decided to commemorate his favorite artist by gathering together, for the last time, those works that had already been given by Mellon to Yale and to the Virginia Museum of Fine Arts, and those that still remained in Mellon's private collection. The exhibition will provide a never-to-be-repeated opportunity to see some of the best of this newly appreciated artist's works.